Great North Eastern Railway (GNER) was owned by Sea Containers Group. GNER operated the InterCity East Coast franchise from 1996 to 8th December 2007, running trains from London King's Cross to Yorkshire and Scotland. Trains running north beyond Edinburgh served Glasgow Central (via Carstairs), Aberdeen (4 trains a day) and Inverness (1 train a day). GNER's first term franchise started on 28 April 1996 for seven years, later extended another 2 years to April 2005. GNER won a second term, starting 1st May 2005 for seven years with a further three years if specified performance targets are met. However, GNER found that terms of new franchise it had agreed were unsustainable, and combined with the financial difficulties of its parent group, led to the franchise being terminated early. The GNER route was transfered to East Coast on 9th December 2007. 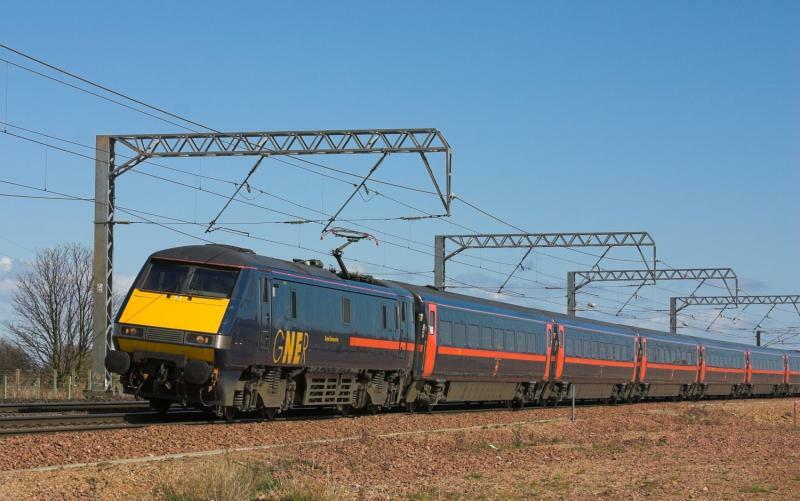 During the later years of its first term, GNER extended its HSTs to 9 coaches, started "Mallard" refurbishment of the thirty Mk.4 trains and introduced Wireless Internet - (WiFi) on its trains. An HST refurbishment scheme was started by GNER, bringing them up to the same standard as the "Mallard" trains. The first refurbished HST entered service in March 2007. Created by scot-rail admin and last modified by them at 00:54, 06 of June 2008.